18kt gold Banyan Tree engagement – wedding ring with diamond. 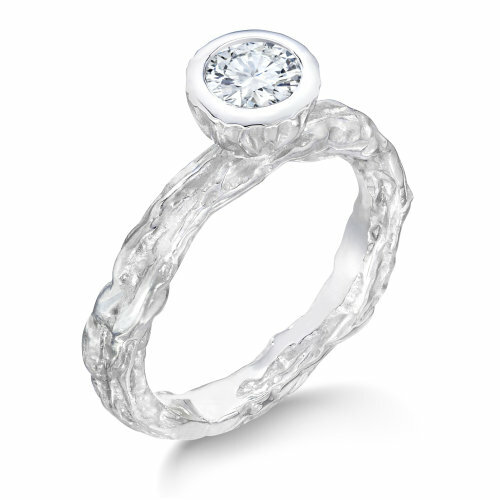 Banyan Tree engagement ring with diamond is available in white or yellow gold. Shown and priced with 1/2 ct. diamond, also available with a 1 ct. diamond- contact us for price. Wholesale mounting only with 1/2 or 1 ct. bezal.